The gums, ligaments, and bone around the teeth form the foundation for teeth. All structures are also referred to as the periodontium. When the periodontium is not healthy, it jeopardizes the teeth just as a bad foundation would threaten the stability of a house. Signs of unhealthy periodontium include: gums that are red and bleed easily, persistent bad breath, gums that are pulled away from the tooth, loose teeth, and changes in the position or bite of the teeth. With proper gum treatments, it may be possible to return gum tissue to a healthy state. If you’re having a problem, come in and see us so we may treat it right away. The treatment usually involves a deep cleaning or root planing done under a local anesthetic, along with local antibiotic agents. It is important to have gum problems checked promtly, as gum disease left alone may eventually need treatment through sugery or extraction. 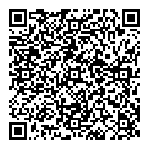 Scan image with smartphone to download contact information.